Morgana King - D. 3-22-2018 - 87 - cancer - The Godfather actress - She played Carmela Corleone (the wife of Marlon Brando’s Don Vito) in the first two Godfather films - Grammy-nominated jazz Singer. 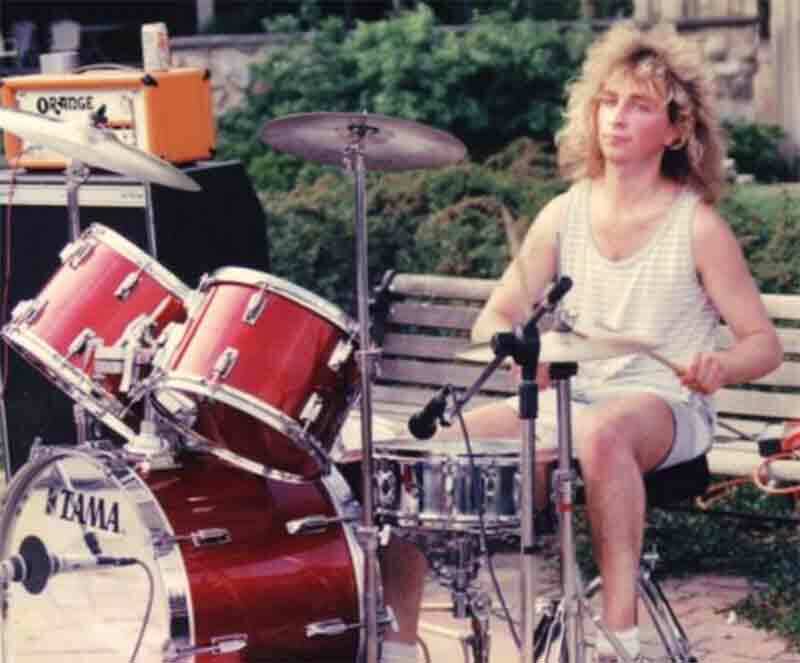 Emil Laak - D. 6-9-2018 - 71 - unexpected - Milwaukee - drummer for Travesty, and Laak’s Music Men. Mike Stoiber - D. 8-2-2018 - 52 - unexpected - Milwaukee - drummer for The Casual Tease (mid 80’s), and Hard Drive. Lorrie Collins - D. 8-4-2018 - 76 - an American country, rockabilly and rock and roll singer and guitarist - Beginning in the mid-1950s, she and her brother, Larry Collins, performed as the Collins Kids. In the late 1950s, Collins was the girlfriend of television star and teen idol Ricky Nelson on both the Nelson family’s top-rated show The Adventures of Ozzie & Harriet and in private life. Linda ‘ProKid’ Mkhize - D. 8-8-2018 - 37 - Seizure - South African hip-hop star. William ‘Blue’ Miller - D. 8-11-2018 - 66 - guitarist with Bob Seger, David Ruffin, Isaac Hayes and Gladys Knight. Tommy Peoples - 8-4-2018 - Donegal fiddler who won acclaim with The Bothy Band and was a cornerstone of Irish traditional for decades. Aretha Franklin - D. 8-16-2018 - American singer, songwriter, actress, and pianist- Franklin began her career as a child singing gospel at a Baptist Church in Detroit where her father was minister. At age 18, she embarked on a secular career recording for Columbia Records. However, she achieved only modest success - Franklin found commercial success after signing with Atlantic Records in 1966 with hit songs such as “Respect” and “(You Make Me Feel Like) A Natural Woman” and y the end of the 1960s, Aretha Franklin had come to be known as “The Queen of Soul”. Claudio Lolli - D. 8-17-2018 - Bologna, Italy - Italian singer-songwriter. Jill Janus - D. 8-17-2018 - 43 - lead singer with California heavy metal band Huntress. Eddie “Chank” Willis - D. 8-20-2018 - guitarist and original member of the famed Motown Records house band the Funk Brothers. Leslie ‘Lazy Lester’ Johnson - D. 8-22-2018 - 85 - Blues harp player - recorded for Excello and Alligator record labels. Spencer Patrick Jones - D. 8-21-2018 - New Zealand guitar player and singer-songwriter from Te Awamutu. From 1976 he worked in Australia and was a member of various groups including The Johnnys, Beasts of Bourbon, Paul Kelly and The Coloured Girls, Chris Bailey and The General Dog, Maurice Frawley and The Working Class Ringos, and Sacred Cowboys. Ed King - D. 8-22-2018 - 68 - cancer - Nashville - lead guitar and vocals with the Strawberry Alarm Clock, and later with Lynyrd Skynyrd. Co-wrote “Sweet Home Alabama” and it is his voice that can be heard counting “1-2-3” opening the song. Jack Costanzo - B. 8-24-1919 - D. 8-18-2018 - 99 - a Chicagoan of Italian descent who taught himself to play the bongos and became a ubiquitous figure in Afro-Cuban jazz.